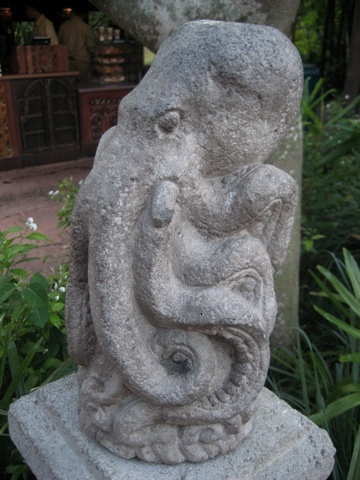 This statue is located at Disney World’s Animal Kingdom. It is in the Asia area close to Mt. Everest. It struck me as odd because it’s very Cthulhu looking.